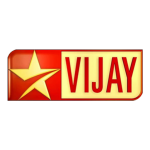 Watch Star Vijay Live at YuppTV With High Quality. Star Vijay is a Tamil TV Channel. STAR Vijay is a Tamil Entertainment TV Channel. STAR Vijay previously and still known as Vijay TV. Star Vijay was Launched in 1994. It is best known for serving its viewers with a mix of content, not limited to mega serials/daily soaps like other Tamil channels. The main reason for the success of STAR Vijay is its share of reality shows. Reality shows were first introduced to audiences by STAR Vijay. Some of its popular reality shows that brought a huge chunk of revenue to the channel include Airtel Super Singer, Jodi No. 1, Kalakkapovadhu Yaaru, and Anu Alavum Bayamillai. Star Vijay TV is Available in Australia, United Kingdom, Malaysia, Singapore, Europe, New Zealand, Japan, Saudi Arabia, Qatar, Middle East and UAE.